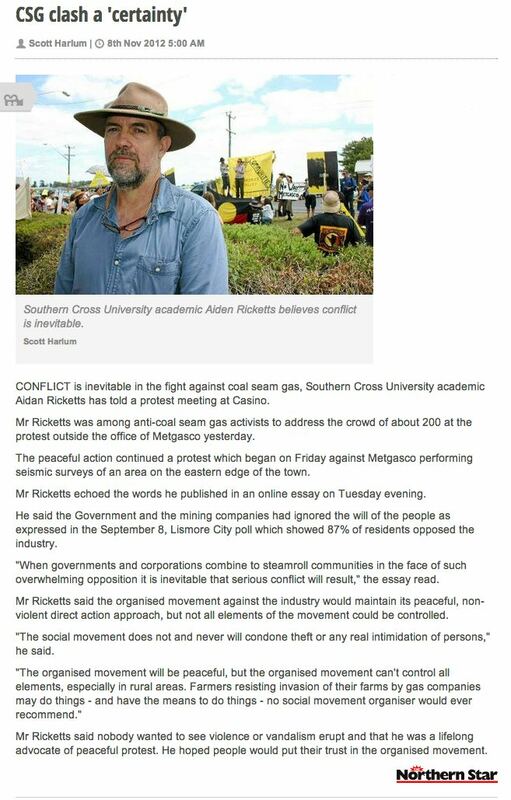 CONFLICT is inevitable in the fight against coal seam gas, Southern Cross University academic Aidan Ricketts has told a protest meeting at Casino. Mr Ricketts was among anti-coal seam gas activists to address the crowd of about 200 at the protest outside the office of Metgasco yesterday. The peaceful action continued a protest which began on Friday against Metgasco performing seismic surveys of an area on the eastern edge of the town. Mr Ricketts echoed the words he published in an online essay on Tuesday evening. He said the Government and the mining companies had ignored the will of the people as expressed in the September 8, Lismore City poll which showed 87% of residents opposed the industry. 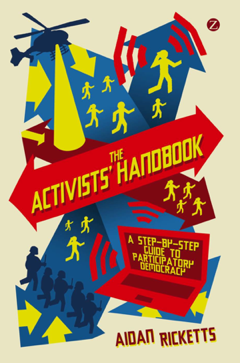 “When governments and corporations combine to steamroll communities in the face of such overwhelming opposition it is inevitable that serious conflict will result,” the essay read.